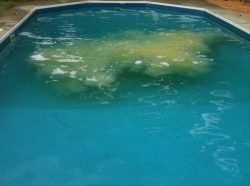 First, if you no longer want to use biguanides- stop putting it in your pool. Let the biguanide levels fall to zero. 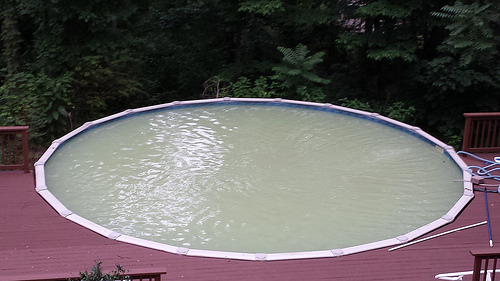 Depending on the size of your pool, this might take a few days. 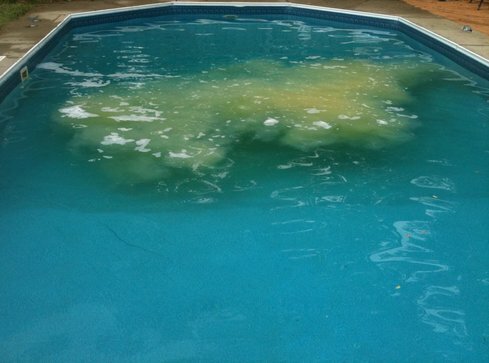 However, if this process takes longer than expected, we recommend treating your pool with non-biguanide algaecide. 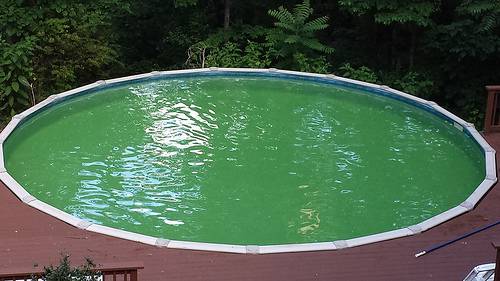 This helps prevent algal blooms from forming around your pool. Additionally, we recommend brushing your walls to help prevent algae. In short, stop adding any biguanides to your pool. 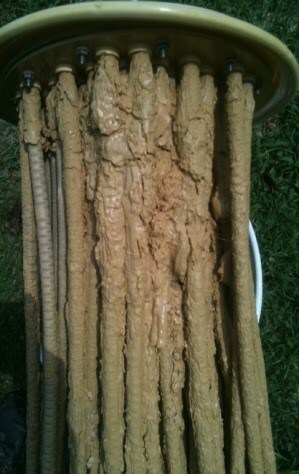 Once your biguanide levels reach zero, focus on cleaning your filter. Also, it’s normal for the color of the water to change. 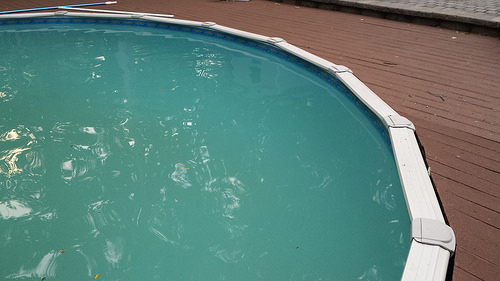 Even though your water tests zero for biguanides, there may be residual biguanide in/on your liner or pool equipment. Don’t worry, though, the color change is only temporary and works itself through. 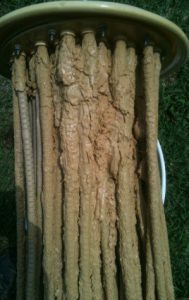 Sand Filters: Change the sand in your filter. Cartridge Filters: Replace or chemically clean your cartridges. Next, make sure you test your chemical levels with a new test kit BEFORE adjusting your pH levels. Ideally, your pH levels should be between 7.4-7.6 ppm. To increase your pH levels, use a pH increaser. If after testing your water your pH and alkalinity levels are low, you can add alkalinity to increase both simultaneously. The next thing you want to do is shock your pool. Make sure you purchase non-chlorine shock. DO NOT use any other kind of shock during this step. Add 4 pounds of non-chlorine shock per 10,000 gallons of water. (ie. 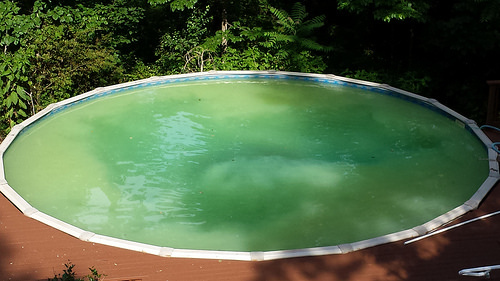 If your pool is 30,000 gallons, you need 12 pounds of non-chlorine shock.) Again, don’t fret if you see your water beginning to turn clear green. That is common. After a few days, check your pH levels again to make sure it is holding. Again, the ideal level for pH falls between 7.4-7.6 ppm. Also, don’t forget to keep an eye on your filter. Actively clean out your filter to avoid backup. 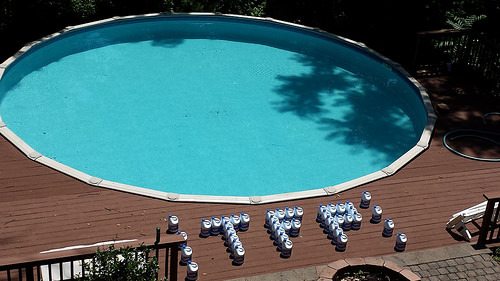 Finally, your pool is ready for chlorine. Be careful though, you don’t want to just throw chlorine in your water. Slowly introduce chlorine back into your water. If you own a chlorinator, start by adding a single chlorine tablet. Once it dissolves and you water seems OK, continue to add more tablets to your chlorinator. Continue to increase your tablets until your chlorine levels reach 1 ppm. 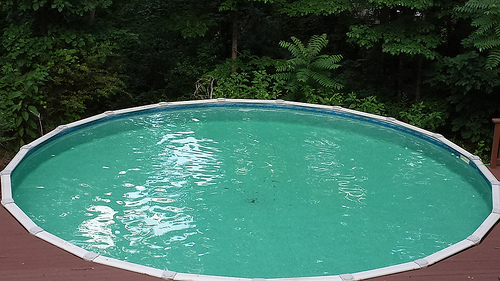 Once your levels reach 1 ppm, you can continue regular chlorine maintenance. In short, slowly add chlorine into your pool until your chlorine levels read 1 ppm. Then, continue your normal chlorine regiment. I’m making the switch to chlorine. Thanks for the advise. I’m starting to get balls of white slimy stuff in the pool. Is that the bacqacil reacting to the chlorine?